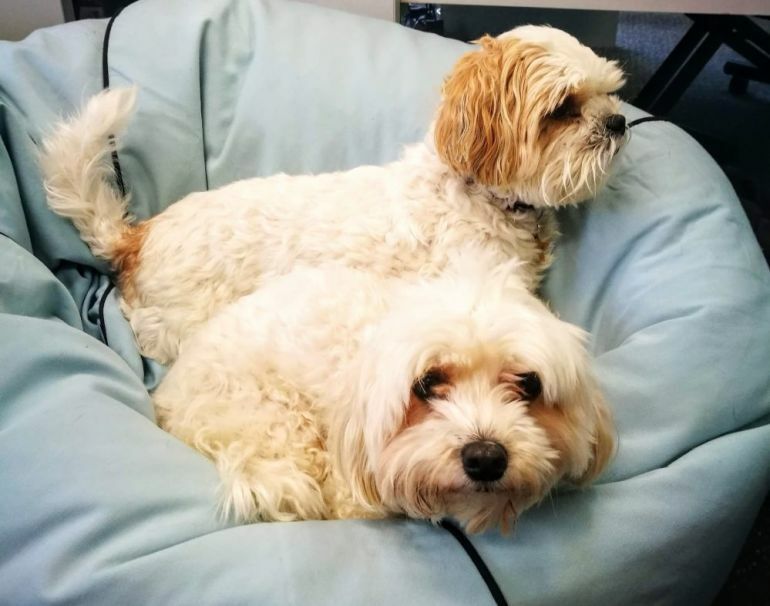 When people ask about my work one of the first things I blurt out is “we have dogs in the office!” Whoever I am speaking to will then gush for a while about how cool and alternative my workplace is, not words that are normally associated with payroll. Thankyou Payroll has had a dog-friendly culture right from the start, and we believe it’s good for our employees and good for business. Of course, it’s great for the dogs too because they aren’t left home alone all day. Dogs are full of love and support, which makes our humans feel loved and supported. When you’re working toward a deadline, or have had a stressful phone call, it is wonderfully therapeutic to watch a dog play or give one a cuddle. Dogs are always cheerful, and it’s hard to stay down when you’ve got a bundle of love trying to tell you how great the world is. Dogs make people feel better. Dogs make you get up and walk around regularly. We all know we should move around more, and taking the dog out to the toilet or for a play so they don’t get bored does exactly that. Walking outside for a couple of minutes has many benefits for physical and mental health, and improves productivity. Patting dogs may reduce stress. It can also reduce blood pressure and help you relax, which can lead to healthier employees. Employees have something to talk about, which can improve office social interactions and break the ice. This can create better working relationships and help employees find ways they could work together that they may not have thought about otherwise. 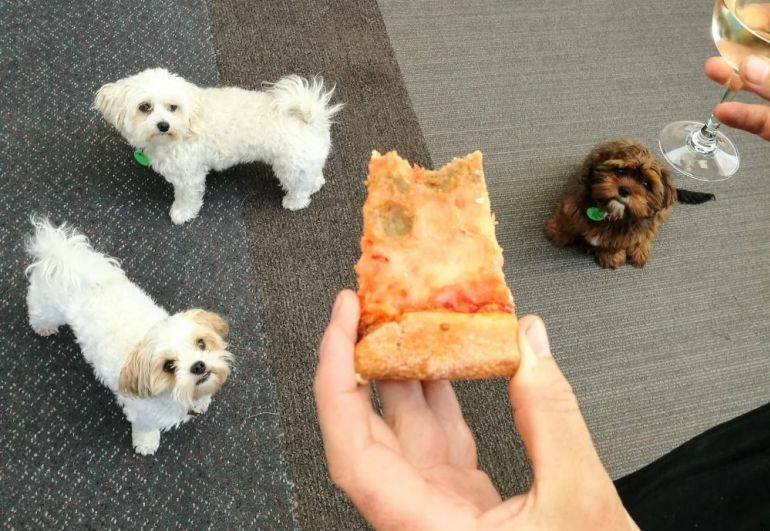 Our employees get to bring their furry friends to work, so they aren’t worried about them being home alone, and the dogs are happier because they get to be social. This increases employee loyalty and helps us attract awesome people. All around, we think those benefits sell themselves, but making people happy is definitely the biggest advantage. We want people to enjoy their work. Plenty of other businesses in Aotearoa are joining in as well. 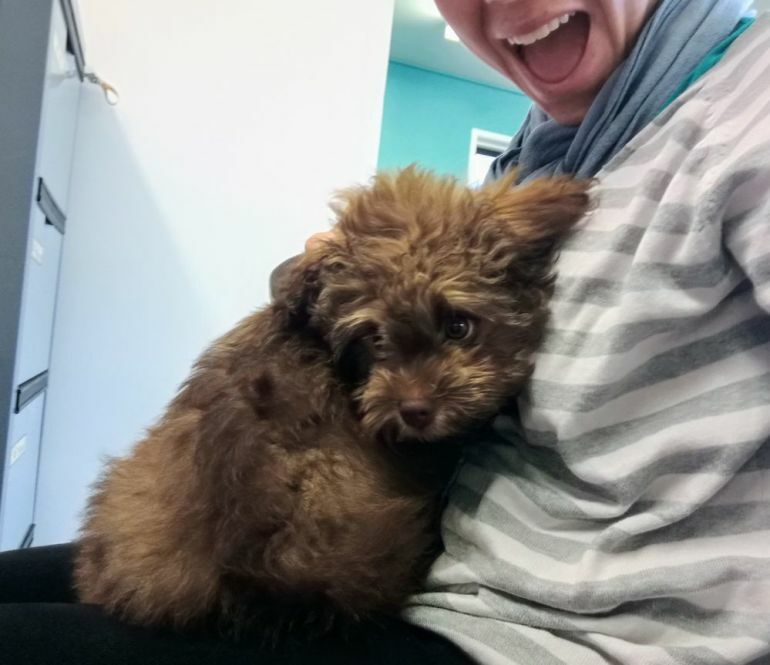 We’d love to see even more organisations joining us to create happy, fun and lower stress workplaces by bringing dogs into the office. Send us a Facebook message or connect with us on Twitter if you’re after tips and tricks and we’ll answer any questions you have.